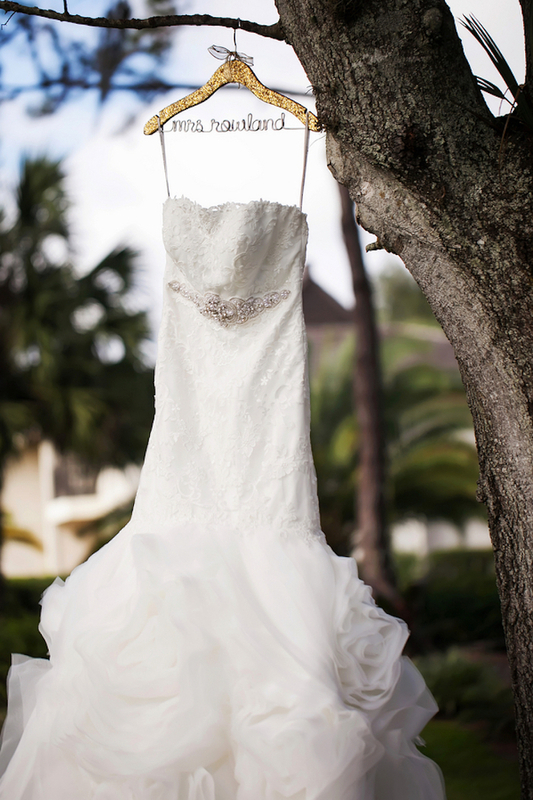 Andria and Dusty’s timeless and elegant Tampa Bay wedding continued a family tradition that originated with the bride’s grandparents, who were the first couple to ever be married at St. Leo’s Benedictine Abbey. The bride, as well as her parents, were also married at the central Florida church. 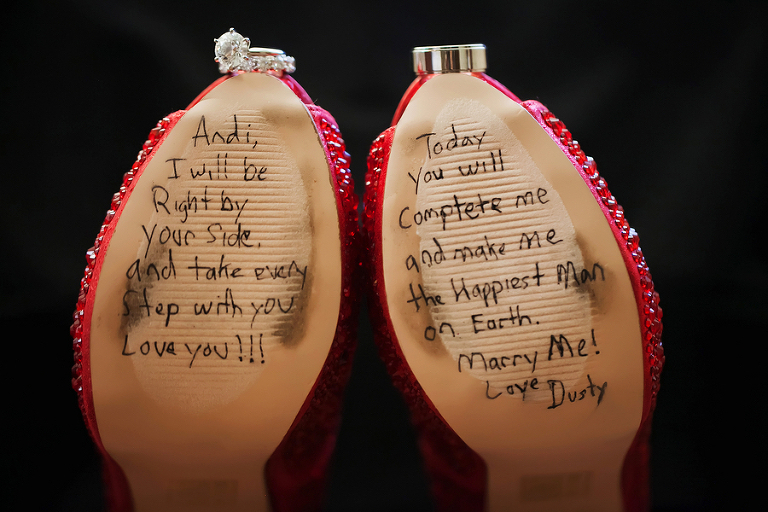 The Dade City couple added personal touches throughout their Tampa Bay wedding, including a love note from the groom, written on the bottom of his bride’s wedding shoes. The pair incorporated nods to the groom’s career hay and cattle industry, with a custom monogram and antler centerpieces. “We both enjoy the outdoors and hunting, so we used gold deer and elk antlers as accents to show our personalities,” Andria explained. It was a total surprise. We were at Ocean Prime in Tampa. We just finished our dinner and went out on the terrace for dessert. My soon-to-be finance had the pianist inside start playing our song All of Me by John Legend, and when our dessert came out he had the words, written in chocolate, ‘Will all of you love all of me forever?’ When I looked back at him he was down on one knee. Dusty had gone to the restaurant that morning and dropped off our camera and had it arranged for another staff member at the restaurant to sneak out and snap pictures of him in the moment proposing to me. Experienced and enjoyable to work with and who we felt comfortable with. Limelight Photography was recommended to us by a friend. 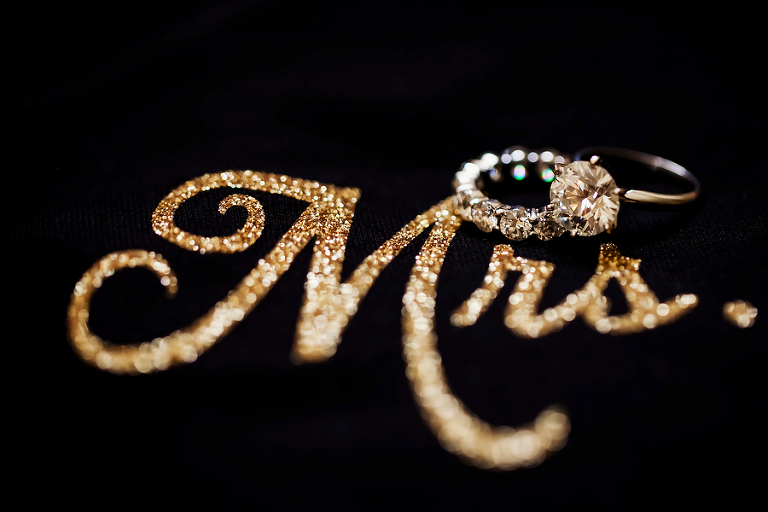 They were a pleasure to deal with and the wedding albums they include are fabulous. Sarah was awesome to work with! Simple and classic, because we felt like it’s timeless and elegant. Black and gold with a touch of red. 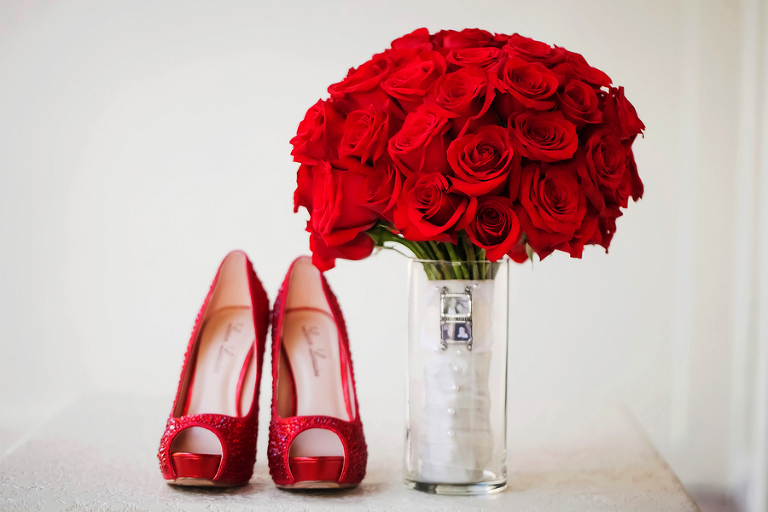 Your wedding day is going to fly by. No matter how stressed and/or nervous you are, do your best to sit back, take it all in and enjoy every minute of the day. It’s awesome! !